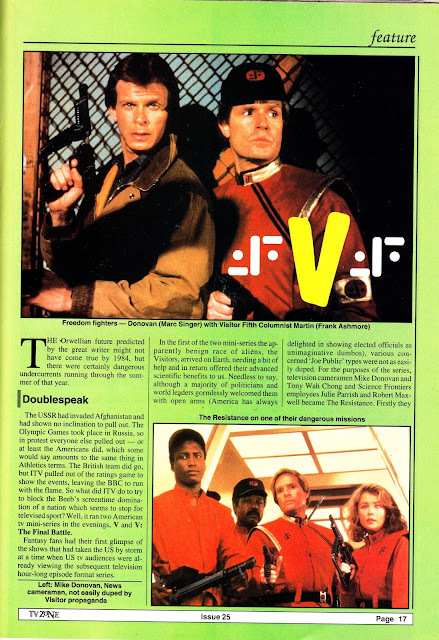 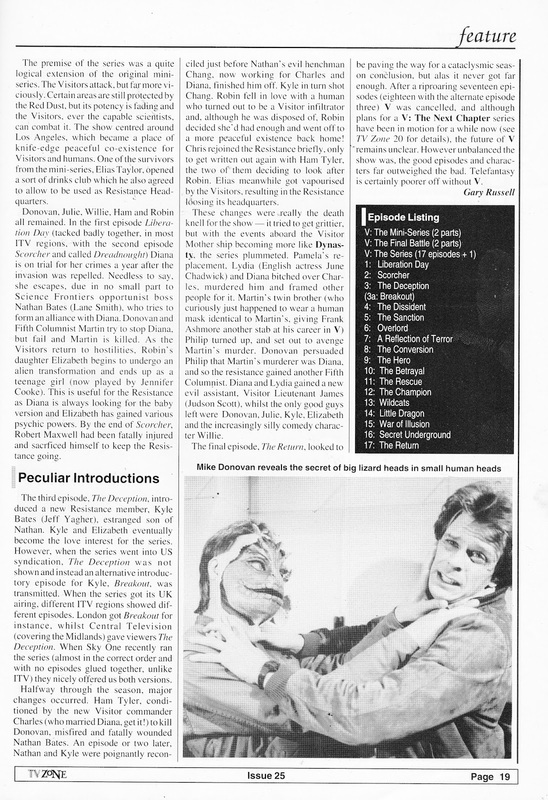 From December 1991: 'V' gets the cover treatment in TV ZONE issue 25, published by Visual Imagination. 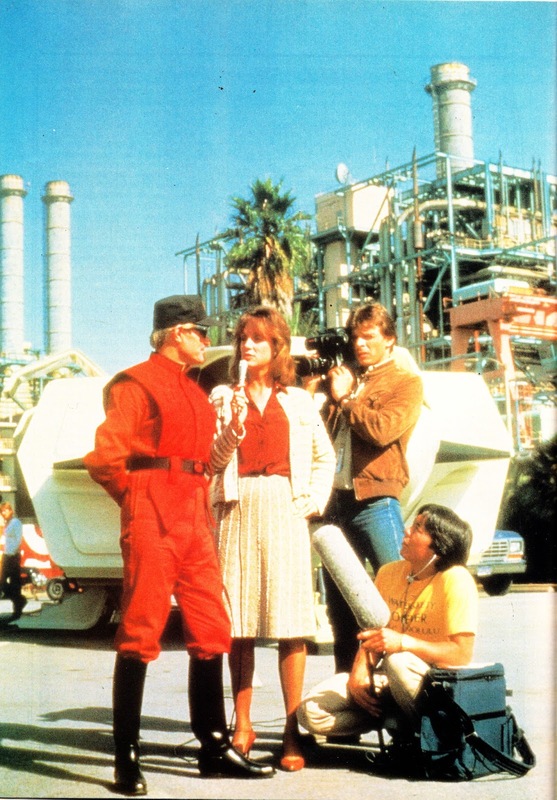 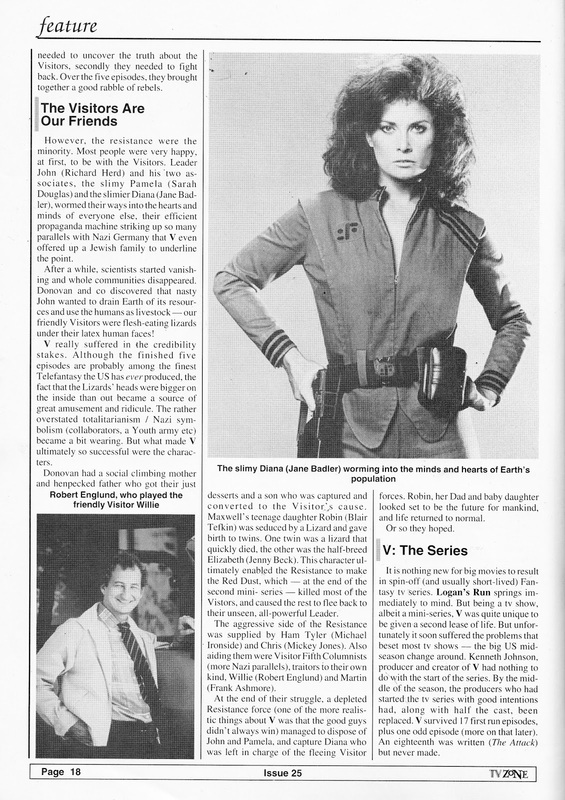 The still is part of a set of widely circulated publicity photos especially shot for the launch of the 1984-85 weekly series. They popped up in various magazines and merchandise including the trading card collection.